Starring Mahesh Babu in the lead role, Brahmotsavam taking shape in the hands of director Srikanth Addala is progressing at a brisk pace in Varanasi. 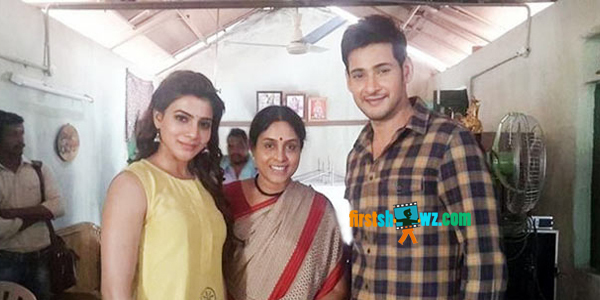 Mahesh Babu and Samantha are partaking in the shoot along with the key members. The unit will later shoot the film in Dehradhun, Delhi and other North locations. Kajal Agarwal and Praneetha are playing the other heroines in this family entertainer, produced by PVP Prasad under PVP Cinemas banner while Mahesh Babu Entertainment Pvt. Ltd banner is presenting it. Mickey J Meyer is the music director while R. Rathnavelu is the cinematographer and A. Sreekar Prasad is the editor. Brahmotsavam is scheduled for summer 2016 release.